Openwork Yellow Gold Band With Leaf Motif & Diamonds at Reliable Gold in Providence, RI Reliable Gold Ltd. 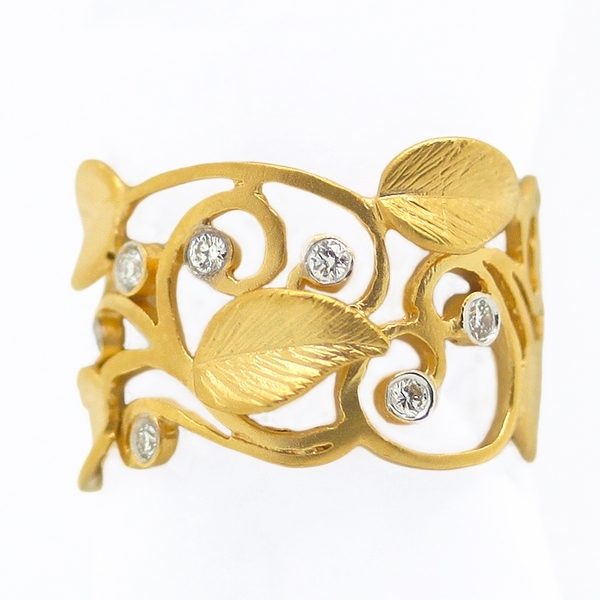 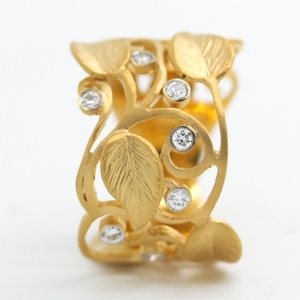 Absolutely lovely band ring with scrolling textured leaves of bright, 14K yellow gold punctuated with round bezel set diamonds. 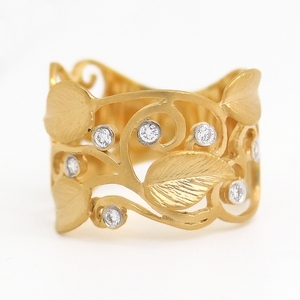 Beautiful alone or sandwiched between diamond bands!